There are many free social media-related ebooks out there, but there’s always a tidbit that you learn from each one. Although some of the advice is similar, this also serves a purpose for driving home important basics about getting your business into the world of social media. BDC (also known as the Business Development Bank of Canada) recently published their entrepreneurs’ guide for social media. If you’re new to the game of promoting yourself online, it’s definitely something you’ll want to check out. Just enter ‘BDC social media‘ in your favourite search engine (I use Google) and it will likely show up at the top of the results. Last week, I provided a number of top 10 lists for the most popular websites in the world, Canada, U.S. and in a number of categories. Here are the top 10 websites in another three categories: weight loss, dictionaries and folklore. All rankings are current to Dec. 19. Top 10 weight loss websites globally: 1) WeightWatchers.com; 2) Calorie Count; 3) MyFitness-Pal; 4) 3 Fat Chicks on a Diet! ; 5) Calculate Your Body Mass Index; 6) Calorieking.com; 7) CalorieLab; 8) Caloriesperhour; 9) Australian Weight Watchers; 10) T-Tapp Total Workout. Top 10 dictionary websites globally: 1) WordReference.com; 2) The Free Dictionary; 3) LEO English-German Dictionary; 4) Wictionary; 5) Urban Dictionary; 6) Dict.cc; 7) Merriam-Webster; 8) Investopedia.com; 9) Medicine Net: Focus on Urological Disorders; 10) YourDictionary.com. Top 10 folklore websites globally: 1) Snopes.com Urban Legends Reference Pages; 2) About. com: Urban Legends and Folklore; 3) Hoax-Slayer; 4) Truth or Fiction; 5) Museum of Hoaxes; 6) Encyclopedia Mythica; 7) Nursery Rhymes Lyrics and Origins; 8) American Folklore; 9) Tongue Twisters, Zungenbrecher, Trabalenguas, Skorogovorki; 10) Wikipedia: Phoenix (mythology). If you’re unsure of any of the web addresses for the websites mentioned above, simply type the name of the website into your favourite search engine and it will likely appear at the top of the results page. How’s the pope doing on Twitter? He’s doing quite well, apparently. According to a New York Daily News article by David Knowles published on Dec. 19, Pope Benedict’s first tweet sent on Dec. 12 was retweeted by five per cent of his 1.2 million followers, a retweet rate that far surpasses Canadian pop star Justin Bieber’s retweet rate of 0.7 per cent for his most retweeted post of the year, according to Twitter. It should be noted that Bieber’s post was retweeted by more followers for the simple fact that 0.7 per cent of his followers is more than five per cent of the pope’s followers. Bieber is the second most popular celebrity on Twitter after Lady Gaga. As of Dec. 19, Bieber had 31.7 million followers, while Lady Gaga had 32.3 million. The pope’s first tweet read, ‘Dear friends, I am pleased to get in touch with you through Twitter. Thank you for your generous response. I bless all of you from my heart.’ According to the article, under the headline ‘Pope already beating Justin Bieber’s rate of Twitter retweets – just a week after launching account,’ Twitter is seeing a surge in religious-based tweets. ‘Ninety per cent of the head pastors at U.S. mega-churches are now on Twitter, and 99 per cent of the 77 biggest religions organizations have set up shop on the site,’ the article said. Every week, I feature YouTube channels for you to check out. Statistics are current to Dec. 19. Have a favourite YouTube channel? Let me know and I may feature it here. Have a very Happy New Year, everyone! Best wishes for a very successful, joyful and prosperous 2013! 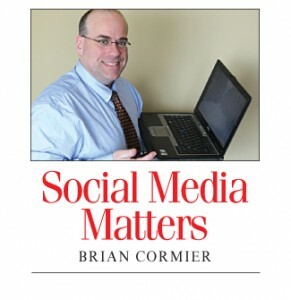 Thanks for reading Social Media Matters in 2012!